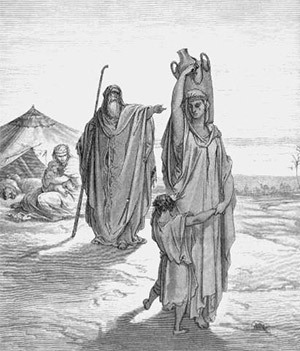 Israel and Ishmael are the ancestors of two big nations. Judaism is from Israel and Islamism is from Ishmael. Arabs and the Israelis have been fighting since time immemorial over that tiny plot of land called Israel. Their battle is not one of flesh and blood, but of spiritual things. The Bible states that the last great battle will pit Israel against the rest of the Middle East and its allies. How did it all begin and why have they remained mortal enemies for thousands of years?